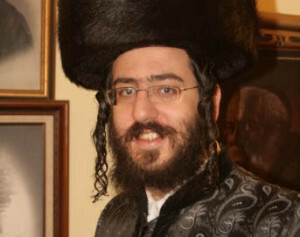 Rabbi Yaakov Moshe Twerski is Rav of Beis Medrash Torei Zahav (formerly Anshei Chesed) in Wesley Hills, NY, and a Maggid Shiur at the Bobov Yeshiva in Monsey. Prior to assuming his leadership role in Wesley Hills, Rabbi Twerski spent 10 years studying in the Belzer Kollel Iyun in Yerushalayim. He is married to Chani Eiger of Brooklyn, NY. Rabbi Twerski grew up in Milwaukee, Wisconsin, where his parents, Rabbi Michel and Rebbetzin Feige Twerski, set a shining example of community leadership and close, caring relationships with every individual. He carries on this proud tradition in Wesley Hills, where the community and the Beis Medrash are continuously growing thanks to his guidance and scholarship. View Rabbi Yaakov Moshe Twerski’s Shiurim.